A major pharmaceutical company required an ingredient automation system (weighing through mixing) that could manage the recipe flexibility demanded by their full line of vitamins while interfacing in a near-real-time mode to their existing ERP system. Weigh final product from Mixer into Super Sacks for deliver to storage or tablet presses. 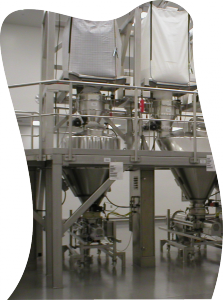 BCI provided a robust, validated ingredient automation system utilizing current control and database technologies. 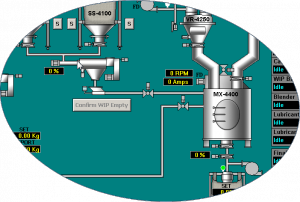 All Wonderware HMI screens utilized a Terminal Services based application for an easy to use/easy to maintain Server/Client architecture communicating with Rockwell Automation’s ControlLogix system. Ingredient automation projects require strategic planning, careful execution, and perfect follow up. With BCI as our partner we are able to realize success in all critical aspects of our projects from concept to completion. Our jobs are well designed, implemented on-time, and completed within budget. Thanks to BCI we are able to provide our customers with systems to meet the demands of today’s business and with the flexibility of the future in mind.